A few days ago on CNBC, I saw this article on a problem especially rampant in academia, and one that I’ve talked about on numerous occasions: the perception that successful academics never fail in their work. Every manuscript is accepted! Every grant proposal funded! Jobs are thrown at them. This (mis)perception is very much in line with one of my primary streams of research on how people engage in impression management/identity curation in digital spaces. On social media, this is often framed as FOMO (fear of missing out)—we see everyone around us living glamorous social, work, and family lives while we sit at home on a Friday night. In academia, this framing of success can be problematic at multiple levels. First, for students just starting out, they may not be properly prepared for dealing with failure—which is more common than success on several metrics. If they assume success, the failures will be that much harder to process. I know of at least one graduate student (not from UMD) who did not finish her degree because she could not/did not want to deal with rejections of research she had put so much effort into. Did the program do her a disservice by not preparing her for the reality of academic publishing? Don’t get me wrong—academia and the work atmosphere within academia—are NOT for everyone. You develop a thick skin pretty fast or you get out. But something as simple as professors sharing their stories of failure or even preparing students when submitting research papers that the acceptance rates are very low (some under 10%) helping students find the journal that best fits topic AND quality rather than telling them to shoot for the moon and submit to the “best” journal in the field. Melanie Stefan posted a blog in Nature in 2010 highlighting the benefits of sharing your failures with others. Transparency is so important to avoid false expectations and to prepare young academics for rejection. Beyond that, it’s important to highlight that EVERYONE fails. EVERYONE in academia gets rejections. Mark Granovetter’s seminal paper, The Strength of Weak Ties, was rejected at first. Joe Walther’s work on the hyperpersonal model—which has influenced hundreds of research papers in my field—was rejected from at least the first journal it was submitted to. In classes, Joe would often share that his graduate advisor expressed serious concerns about his ability to become a successful academic; today, Walther is one of the most respected Communication scholars in the discipline. While I am not nearly as well-known or established, I have experienced my fair share of academic rejections over the last decade, and I want to be as transparent as possible about these failures to show that for all my successes, they are complemented by a lot of rejections. Therefore, I’ve put together as comprehensive a list as possible of work-related rejections. My hope is that young academics will read this post and see that it is possible to be successful and fail regularly—and that failure is OKAY! I also hope to encourage other academics to be more open about their struggles to provide a more realistic portrayal of academic life. In this CSCW paper (my second at the conference), I analyze a subsection of data from my dissertation, focusing specifically on the question of how (a) one’s use of Facebook and (b) Facebook-derived relational outcomes may vary between geographically dispersed vs. geographically proximate Friends, as well as between Friends who rely primarily or solely on the site for communication vs. those who use alternate channels such as phone calls, emails, and face-to-face interactions. To analyze this question, I had participants in my study log into Facebook and select a pseudo-random* Facebook Friend for whom they would answer a series of questions. These included a number of questions related to relationship maintenance strategies they could engage in through the site (e.g., sending birthday wishes, communicating about a shared interest), their perceptions regarding the extent to which their use of Facebook affected the quality of the relationship, both in terms of how close they felt to the other person and the relationship’s stability, general relational closeness, frequency of communication through a variety of Facebook-specific and other communication channels, and other measures. To read the full study’s methodology, see my dissertation. The findings for both geographic distance and use of Facebook as the primary communication channel were the same: when controlling for a dyad’s existing level of relational closeness, participants reported engaging in a greater amount of relationship maintenance strategies through the site and believed the site to have a more positive effect on their level of relational closeness and relational stability with the Friend for whom they were responding. What this finding in particular, and my dissertation to a larger extent, support, is that there are specific types of relationships that benefit more from using the site as a relationship maintenance tool. This likely has to do with a number of factors: for example, in my dissertation, I found that weak ties who were highly engaged in relationship maintenance behaviors on the site saw the site as much more beneficial than strong ties who were highly engaged in these same behaviors. From this finding, it is a small jump to Haythornthwaite’s work on media multiplexity, whereby stronger ties use a greater quantity of communication channels. However, in this study, I controlled for relational closeness, meaning these differences emerged regardless of how close participants rated that relationship outside of their use of Facebook. This suggests that something deeper is going on. Much as the work of Keith Hampton and Barry Wellman more than a decade earlier argued that email was supplementing other forms of communication when “richer” forms were unavailable, Facebook may be filling that void now–and why not? It’s ubiquitous, mobile, easy to use regardless of age, and easy to share content like photos and videos. And as Hampton recently noted, SNSs like Facebook have this quality and being persistent and pervasive, perhaps changing the relationship lifecycle forever. If you want to learn more about this paper, you can read it here, and you can come see me present it at CSCW 2014 in Baltimore this February! *Because of the way Facebook’s algorithm works for Friend display, generating a truly random selection would be difficult if not impossible. For more on this method of participant selection, see this paper by Ledbetter et al. (2011). I’m very proud of this qualitative paper I worked on this spring with UMD iSchool student Jinyoung Kim and will present at CSCW in February (in Baltimore–woot!). This study analyzes a robust qualitative dataset I gathered in 2011 as part of my comps but had to put aside when I began my dissertation research. So I was very excited to finally be able to dig into the 26 interviews that I *knew* held such rich insights about SNS users’ disclosure and privacy practices, their perspectives on their network and how they manage that network, as well as the cognitive thought processes behind the interactions (or lack thereof) that occur on the site. Network regulation strategy: These behaviors limit the official recipient of disclosures and include leaving Friend requests pending, defriending, and hiding. Notably, many participants referenced pressure to accept Friend requests (or conversely, to not defriend someone they wanted to) because of their relationship with that person. This could be a classmate, the husband of a best friend, or a neighbor, but in these cases, the participant said s/he couldn’t engage in boundary regulation due to the nature of the offline relationship. Targeted disclosure strategy: These behaviors involved sending content to a segment of one’s network, either by using the Friend List feature or using the advanced profile settings to place individuals or groups on a Limited Profile. In addition, people used Friend Lists to restrict specific people or groups from seeing content; for example, one user maintained a “don’t see” list that couldn’t see any of her status updates. Self censorship strategy: These behaviors ranged from disclosure decisions resembling Hogan’s lowest common denominator approach to a more broad-based self-censorship in which users chose not to share certain types of content with anyone on the site. As the sample for this study was comprised of graduate students (master’s and PhD), many were motivated by specific self-presentation goals and strived to keep their profile as free from “drama” as possible. 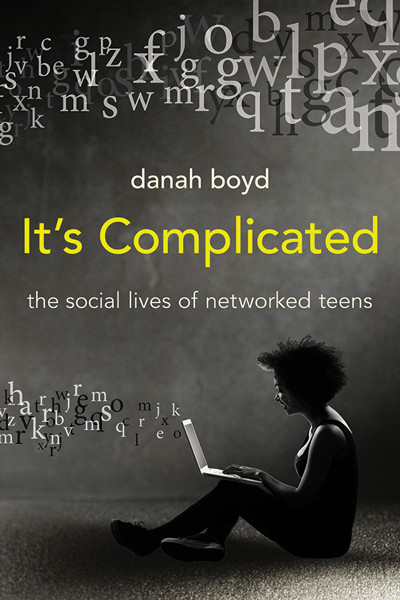 Content regulation strategy: These behaviors include moving content from public to private channels (on Facebook or elsewhere) or communicating on the site in code, much like danah boyd describes in her work on social steganography. Some participants differentiated between the types of information they shared through public channels (e.g., Wall) and private channels (e.g., private messages), but a few said they regularly used these private channels to keep up-to-date with a small group of close friends. Likewise, a rarely mentioned strategy was to interact through the public channels but to talk in code, as one participant described when telling a story about how she and her friends talked about a professor they weren’t fond of by calling him by a made-up name (e.g., Dr. X). Overall, this study expands our understanding of the disclosure process in online environments, which contain a number of unique affordances that affect how people think about and make decisions related to what and with whom they should share personal information. This study also has implications for research in the area of context collapse, especially when considering the various strategies individuals employed to manage the diverse groups of Friends they had on the site (the average number of Friends per participant was 500). You can read the full study here and I hope to see some of you at CSCW in February!